Participants at a photo session. 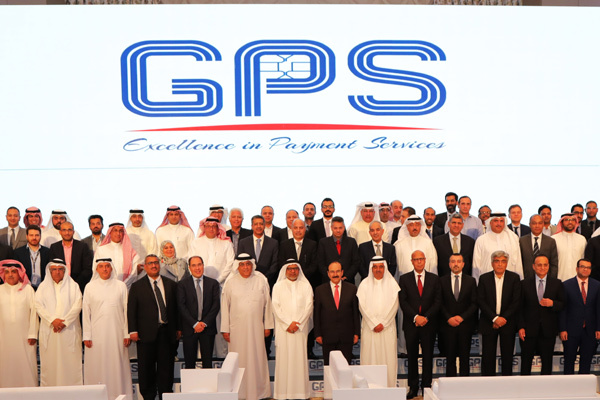 The high-tech processing services required to support innovation, customer satisfaction and sustainable growth in the payment industry was discussed a conference of more than 100 banking and finance leaders organised in Bahrain by Global Payment Services (GPS). The event, at the Four Seasons Hotel Bahrain Bay, focused on the company’s continued mission of “Driving Excellence in Payment Services.” Present were Dr Abdulhussain bin Ali Mirza, Minister of Energy, and Khalid Hamad, executive director of the Central Bank of Bahrain. GPS, which was established in 2004 in Bahrain, is a leader in outsourced electronic payment processing. Licensed by the Central Bank of Bahrain, Visa, MasterCard, JCB and UPI as a third party service provider, GPS is recognised for its expertise in the payment industry and in supporting the processing needs of customers and the electronic banking community in the Middle East and North Africa (Mena) region, a statement said. In the presence of clients, partners and peers from across the public and private sectors, the evening saw members of the GPS board and management lead high level discussions on the complexities faced by the regional banking and financial community as it seeks to keep up with customer needs. Addressing participants were GPS’ chairman of the board Yousif Ali Mirza, and general manager Ali Arab, who highlighted the company’s plans and strategies for driving excellence in payment services. A strategic keynote was also delivered by Mohamed Horani, a recognised pioneer in the global payment industry and the founder, chairman and CEO of Hightech Payment Systems (HPS) in Morocco, a worldwide electronic payment solutions provider and shareholder of GPS. Horani, who is the architect of PowerCARD multi-channel payment software, developed by HPS and used by more than 400 institutions in over 90 countries, discussed the current state of payment services and its future development needs. Ali Arab added: “Collaboration remains the driving force behind innovation at GPS. We are proud of the long-term partnerships we have established and the role they play in shaping the services we develop and bring to market. Already providing one of the industry’s most comprehensive and advanced offerings, we were pleased with the opportunity tonight to update our customers and partners on some of the innovations currently underway. "Today, GPS is working towards enabling a tokenisation service that would secure future mobile payments such as e-wallet, Apple Pay, Samsung Pay and others as well as instant card issuance. We are also in the process of undertaking one of the most significant moves in our history. By year-end we will inaugurate a new premises for all of our operations in a sign of further progress in the establishment of a one-stop-solution for all of our customer requirements and the expansion and growth that we are pursuing in existing and new regional markets."